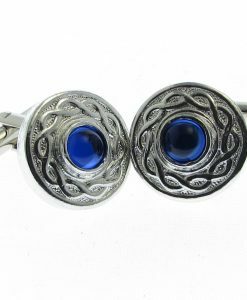 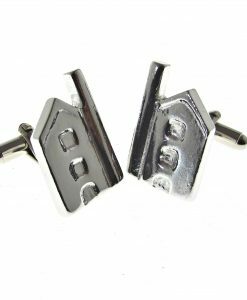 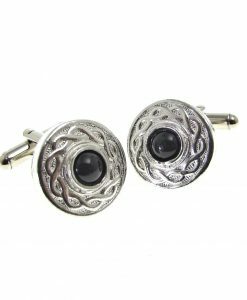 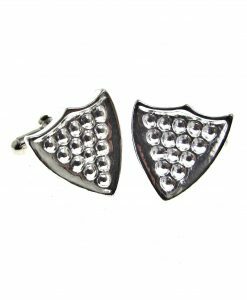 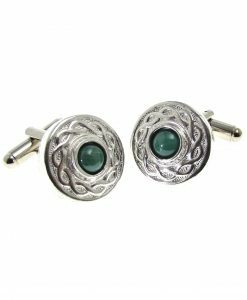 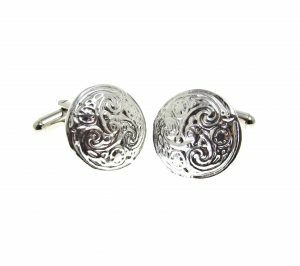 Cornish Tin cuff links approx. 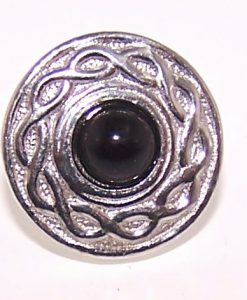 18mm diameter fitted with a spring toggle suitable for double cuffs. 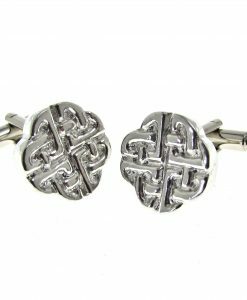 Featuring a Celtic knot swirl pattern.